Now, if something comes my way and it has anything to do with one of the following; cricket, art or photography, it’d be a fairly safe bet, that I’d write about it. Turns out, this project has all of the above, in abundance. It actually took me quite a while to get my head around what’s going on here (and I’m still not sure I’ve got it quite right). I’ll try and explain. There’s a cricket tournament called The Grey Fox Trophy. It’s a knock out competition for sides comprised of over 50 year old people. Now in it’s third year, the final of the 2013 Grey Fox Trophy is at the grounds of one of the vintage bastions of cricket – Scarborough. The final is this Sunday – the 15th of September and it’s between The Central Yorkshire Over 50s and Nidderdale Notsoyoungs. 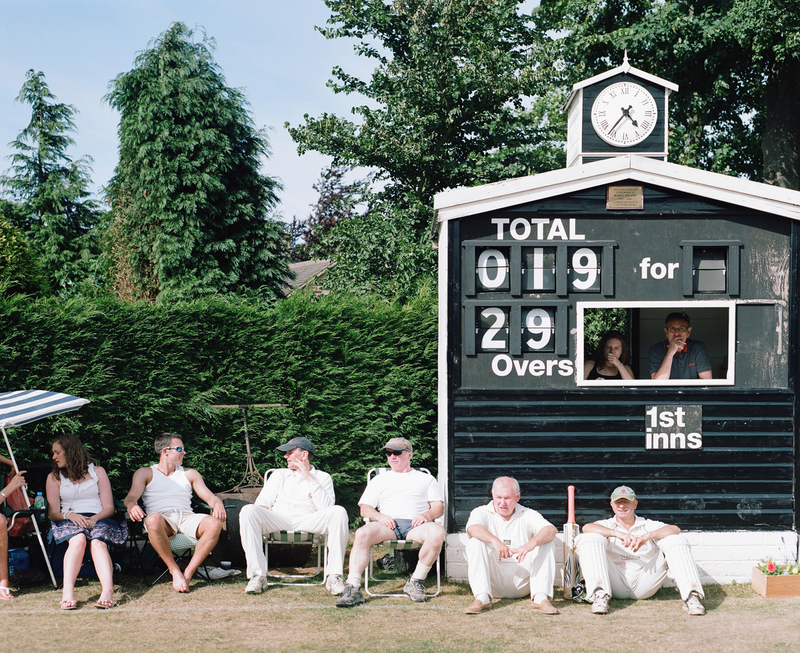 Running alongside this competition is another project called Runs On The Board, who’s mission statement is “an artists’ celebration of amateur cricket in Yorkshire”. Still with me? good. This year, Runs On The Board have commissioned Lucy and Steve to make some art. They will be exhibiting the culmination of this commission, this weekend at the final in Scarborough. This sounds like a good thing to do if you’re in the area – it’s a free in apparently, and I’ve heard, there’s cake. The complicated web of art, commissions, cricket and cake doesn’t stop there. There’s another player on the field. Runs On The Board was commissioned by an arts council called “Imove“. Their mission statement is “we commission artists to explore the ways we move” which sounds fairly interesting, if you ask me. Imove began life as part of Yorkshire’s cultural Olympiad programme to celebrate London 2012. Anyone else got a hand in this? Oh yea, it’s officially sponsored by The Arts Council, Legacy Trust UK, Yorkshire Country Cricket Club, Yorkshire Building Society, Yorkshire Tea and unofficially, me. Well done everybody. May the best side win (or draw).